Brown-Forman’s global travel retail business began to rebound in late 2016 and that momentum has carried through and strengthened in 2017, says Monte Wilson, B-F Director of Americas and Global Key Accounts. “A combination of factors have contributed to this turn-around. We are seeing an increase in Russian travelers – which is a very good sign given that they are the second largest purchasing traveler behind the Chinese. In addition, overall international passenger manifests are up which means we have more opportunity to impact those consumers as they travel to and from their destinations. Equally important, there has been a general acceptance of the challenging currency situation within the travel retail industry compelling suppliers and retailers to collaborate and adjust promotion strategies in order to bring value to the traveler,” says Wilson. The continuing growth of American whiskies around the world has propelled B-F’s travel retail business this year, says Wilson. Jack Daniel’s, the number three brand in IWSR’s Top 100 Travel Retail Brands, grew by 6.4% in travel retail in 2016. “By far the greatest contributor to the robust outlook for Brown-Forman Travel Retail in 2017 and beyond is the on-going global popularity of American whiskies led primarily by Jack Daniel’s and Woodford Reserve as well as our recent entry into the premium Scotch Single Malt and Irish categories,” says Wilson. Jack Daniel’s and Woodford Reserve are maintaining their leadership position in travel retail with strong sales in both established markets and rapid growth in the emerging markets of Asia, IMEA and parts of South America, he says. B-F’s founding brand –Old Forester — plus the new Coopers Craft Bourbon and the new Single Malt Scotches and Slane Irish Whiskey, which are enjoying double-digit growth, round out the company’s industry leading American Whiskey portfolio. 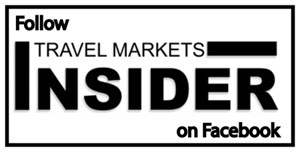 The Americas and in particular the U.S. are seeing travelers on the rise again and are seeing more value in the retail shops and a slightly weaker U.S. Dollar, says Wilson. Some emerging regions impacted the most by the currency devaluation such as Russia, Brazil and Mexico are showing strong growth in 2017 against lower comps, says Wilson. “The weakening of the peso in Mexico has had a detrimental impact on Mexican nationals traveling out of the country although low prices are attracting visitors who want to take advantage of the situation. Any discussion of economic ills in travel retail has to include the frustratingly strong U.S. dollar. As with any challenging times, we as a company have learned many lessons in how to adjust our strategies and work with our retail partners to still reach the consumer in a positive way. One of the best lessons we’ve learned from past economic crisis, is to plan ahead for these scenarios and not panic. We believe in travel retail, we have a superb portfolio for travel retail and we are in it for the long-term. Brown-Forman Global Travel Retail will unveil Jack Daniel’s Bottled In Bond Tennessee Whiskey as the signature event of its activities during the 2017 TFWA Exhibition. The launch of the 100 proof travel retail exclusive comes on the 120th anniversary of the United States Congress passing the Bottled In Bond Act in 1897. Jack Daniel’s Bottled In Bond will be a permanent line extension in the Jack Daniel’s Family of Brands and will begin shipping in the summer of 2018. “In many ways, the introduction of Jack Daniel’s Bottled In Bond is a step back into the early days of the distillery when Jack Daniel’s was pioneering the craft of making Tennessee Whiskey. We think so much of this whiskey that we are making it a permanent member of the Jack Daniel’s Family of Brands,” said Marshall Farrer, senior vice president and managing director of Brown-Forman Global Travel Retail. Lynne Tolley, the great grandniece of Jack Daniel and a fixture at the Jack Daniel’s Distillery since 1980, will be making her inaugural visit to Cannes to participate in the launch. She will be hosting tastings of Jack Daniel’s Bottled In Bond in Cannes on the Brown-Forman stand (Beach Village – B03).